Sheffield Autumn programmes start here! Autumn’s here so it’s time for the new Sheffield Jazz season to begin at 8pm tonight on Friday 30th September at Crookes Social Club with the brilliant and remarkable Benn Clatworthy. And as a special offer to introduce our move to Crookes, all tickets for this gig are priced at just £5 ! A perennial Sheffield favourite, the Benn Clatworthy quartet feature the gifted John Donaldson on piano, Simon Thorpe on bass and Matt Horne on drums. Based in Los Angeles, Clatworthy is a great tenor sax player, from storming post-Coltrane energy to beautiful ballad playing. We’re very happy with the facilities at Crookes Club which will give our audience an improved experience, through its great sound and sightlines, plentiful seats and tables and an excellent well-stocked bar. There’ll be the traditional raffle at the break, but this time Silversmith’s restaurant have generously donated a prize of a VIP dinner for two. And later on in the season there’ll be further chances to win dinner at Silversmith’s, before each of the two Crucible gigs that they are sponsoring this autumn. Featured in Harden’s 2016 guide, we’re grateful for their sponsorship which helps us continue to bring the best of UK jazz to Sheffield. Jazz is back at Heart. 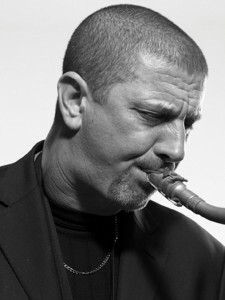 Jeans Pavlidis has frequently performed all over England and Greece for the last 10 years, participatingin tours and recordings as a leader and with world renowned artists David Liebman (2005,2010), Adam Nussbaum (2007,2010,2011) and with Greg Hutchinson (3 October 2015). Ellery Eskelin hits the north! 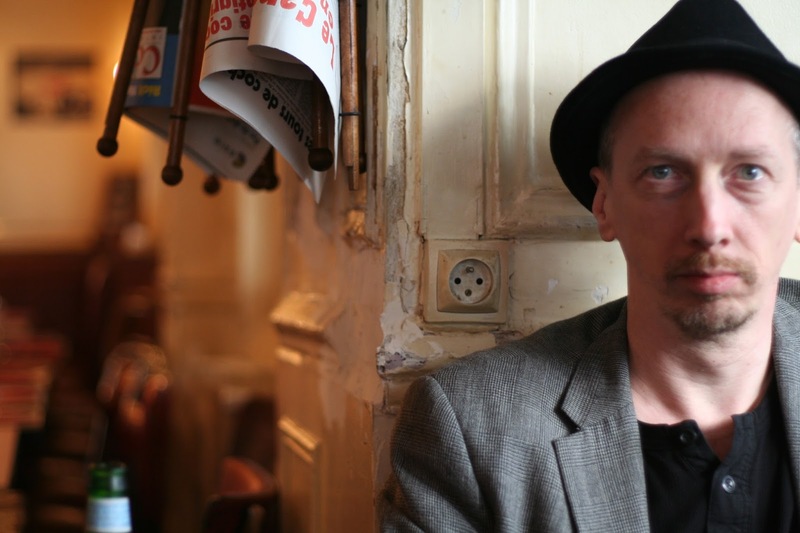 Hailed as being at the forefront of the global creative improvised music scene for the past 30 years, New York saxophonist Ellery Eskelin is preparing to perform a number of gigs in the North of England in October 2016, including a performance at Seven Arts in Leeds on October 13th. Eskelin is the second featured artist to take part in the Orpheus Project, an ambitious programme set up by jazz venues across the North of England in partnership with Apollo Jazz Network to bring internationally renowned artists to intimate venues in the region and expose audiences to extraordinary live jazz. Joining Eskelin will be guitarist Chris Sharkey and pianist Matt Bourne. Eskelin appears at Marsden Jazz Festival on October 8 at 6pm followed by performances in London (October 10th), Birmingham (October 11th), Sheffield (October 12th), Leeds (October 13th) and Newcastle (October 14th). Based in New York City, Eskelin has traveled widely performing, recording and amassing a very personal and iconoclastic body of work. 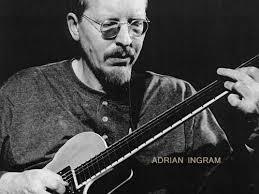 And yet he has always remained deeply committed to the traditions of jazz and American music. Eskelin embodies this seeming contradiction with ease. He does not see jazz as a style or idiom but as a process. Further, a process of creative development that has great relevancy to our time. In this pursuit Eskelin consistently delivers to the listening public unadulterated, passionate music with no excuses and no apologies. 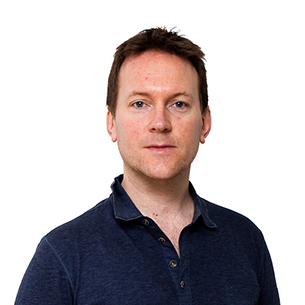 Chris Sharkey is known across Europe as being at the cutting edge of creative music. He has been a member of numerous groundbreaking groups in the UK –including TrioVD, Acoustic Ladyland and Bilbao Syndrome. Internationally, he has collaborated with musicians in France (Christian Sebille), Norway (Nils Henrik Aarsheim) , Lithuania (Liudas Mockūnas) and Spain (Asociación Musica Libre). 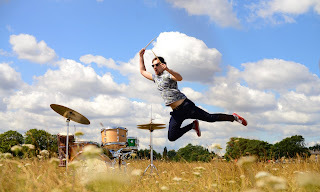 Matt Bourne first came to national attention as a winner of the Perrier Jazz Award in 2001, which was followed by an award for innovation at the BBC Radio Jazz Awards in 2002, and the International Jazz Festivals Organisation’s International Jazz Award in 2005. Renowned for his intensely personal and sometimes confrontational solo work, Bourne’s uncanny ability to balance delicacy and virtuosity, while establishing a close affinity with his audience, have become hallmarks of his concert performances. At Fusebox we've been working hard to ensure another ecclectic, high quality and creative programme for Autumn/Winter 2016 and we already have artists booked for Spring 2017. 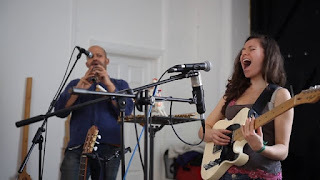 "In the intriguing Anglo- Colombian duo Heidi plays guitar, sings and beatboxes and Mauricio plays assorted flutes. The two transform their sound into junkyard electronica through the ingenious use of looping pedals. You'll spend a while pondering how to classify them. Prog folk? Operatic post-punk? Gothic reggae? But they know how to write melodies" The Guardian. Their influences are said to range from Prokofiev to Wayne Shorter, laid down with West African Rhythms. Dave Kane will be providing support in the form of a bass solo. Doors open 8 pm, Music starts 8.30 pm. Admission price: £8/£6 on the door. At the Fox and Newt, 9 Burley Street, Leeds LS3 1LD (opposite Park Lane College) Tel: 0113 245 4527. Lancaster Jazz Festival 2016 this weekend! 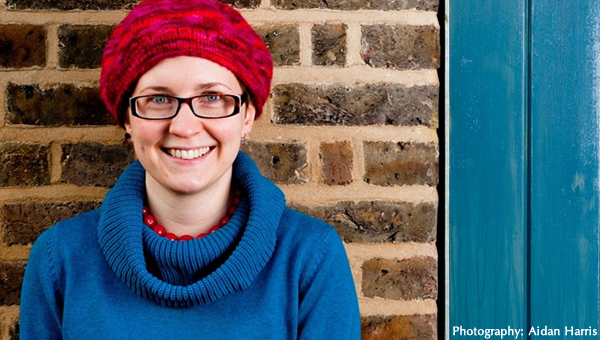 Our sixth Lancaster Jazz Festival (16-18 September) and, by far, the most ambitious yet. 2016 sees us expand into new territory and hand over the reins to the country’s emerging jazz artists like never before. In a complete first for us we’ve commissioned our headline concert, giving it over to the astonishing baritone saxophonist Cath Roberts who tore the festival apart with Word of Moth at the end of last year. She’s currently writing a completely brand new work whilst bringing together a completely brand new 10 piece band, sourced from around Europe, ready to premier in The Round Theatre on Saturday 17th September. In a similar vein, we continue our annual Youth Jazz Commission, awarded by our members to rising star guitarist Billy Marrows with a super interesting Gamelan inspired octet set. We also return to Lancaster Brewery, welcoming back saxophonists from the very first Lancaster Jazz Festival now they’ve become national jazz superstars. And we’re back in Sun Square and The Hall for the weekend with more amazing musicians, more great coffee, and more solo cello sets than ever before. Hello from sunny Scarborough! After the incredible complimentary evaluations we received for the 2015 festival I knew it was going to be a tough challenge to do better this year. But I think we might have done it with an impressive, balanced, entertaining line-up. Just two weeks to go! Rousing big bands: Abstract Truth Band, SKJ Jazz Orchestra. Superb vocalists: Liane Carroll, Georgia Mancio, Nicola Farnon, Vimala Rowe. Rhythmic variations: Pan Jumby, Vula Viel, Adam Glasser. Something different: ‘Charlie Parker On Dial’, Malija. And a wonderful venue! All strung together by our compere Alan Barnes. As summer draws to a close preparations are well in hand for the move of Sheffield Jazz to Crookes Social Club. Leaflets have been distributed to the usual places as well as many new cafes and bars in the Broomhill, Crookes and Walkley districts and we’ve been busy at the club itself, checking out the PA and acoustics, the layout of the seating and, it has to be said, the quality of the bar. We’re pleased to announce that all passed the test, and we can’t wait for the start of the new season, which starts on 30th September with the remarkable Benn Clatworthy. And as a special introductory offer to celebrate the start of Crookes, all tickets for this gig are priced at just £5 ! Crookes Social Club is our new base. Many of you will know the club from having been to events in the past, as it has been a mainstay of the Sheffield scene for many years, for all kinds of public events, but especially music and comedy. The club is a great venue, with enough space for every seat to have a table, and has an excellent layout and sightlines, a wide range of drinks at reasonable prices, good public transport links and tickets held at the same prices as last year. 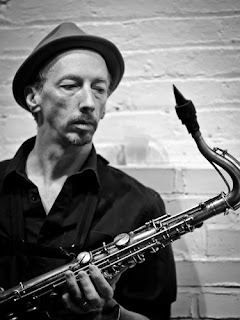 30th September Benn Clatworthy quartet Based in Los Angeles, Clatworthy is a great tenor sax player, from storming post-Coltrane energy to beautiful ballad playing. 14th October by the Tim Garland Electric Quartet whose current tour is receiving rave reviews from the music press and features their current album One. Tim has toured with Chick Corea for almost two decades and his new band features former Sting and Jeff Beck pianist Jason Rebello, Ant Law and Asaf Sirkis. 21st October we have the first of the season’s two gigs at the Crucible, with the Glow quartet, featuring Trish Clowes on sax, Gareth Williams on piano, Calum Gourlay on bass and Martin France on drums. Playing new interpretations of standards and originals they “take risks ... playing from more traditional improvised music and contemporary ideas. The season continues through the autumn with Gilad Atzmon and Alan Barnes’ Lowest Common Denominator, 11 piece band Pavillon, including Martin Speake, Andy Panayi, Steve Fishwick, Sarah Williams and Gene Calderazzo and the Clark Tracey quintet, all at Crookes Social Club. The season is rounded off in December by Stan Sulzmann and Nikki Iles featuring in a duo at the Crucible Studio. Its definitely as exciting a programme this autumn as we’ve put together since I took over running The Lescar nearly 4 years ago. We’ve got JazzFM vocalist of the year Lauren Kinsella with her ensemble, and Cinematic Orchestra guitarist and composer Stuart McCallum with a great band. In October there is a unique opportunity (thanks to the combined help of Norvol, Jazz North, Apollo Jazz Network, and Arts Council England), to experience a New York jazz and improvised music legend, sax player Ellery Eskelin with UK improv stars Matthew Bourne and Chris Sharkey (12th October). A truly international line-up; four rising stars of the European jazz scene, led by a Danish bass player with a lovely rich tone, Henrik Jensen, and featuring US trumpeter Andre Canniere, Danish pianist Esben Tjalve, and Italian drummer Antonio Fusco. Contemporary jazz that bursts with creative and expressive energy, their music is also melodic, rhythmic and approachable. From NYC, a unique opportunity to hear a highly individual and creative musician from the cutting edge of the global improvised music scene. 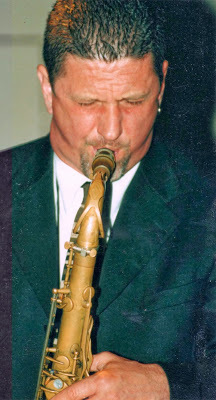 Tenor sax player Ellery Eskelin has performed all over the world, a passionate and committed musician, with a wonderful sound. He visits us with two of the UK’s foremost groundbreaking musicians, both with international reputations; guitarist Chris Sharkey (TrioVD, Acoustic Ladyland and Bilbao Syndrome) and pianist Matthew Bourne; a unique virtuoso mixing a delicate touch with often fiery improvisation. Rising star guitarist Dan Messore’s music is a delight; rhythmic, with a strong sense of narrative, and an emotional core. Gareth Lockrane (flute) is a brilliant improviser, Calum Gourlay’s bass playing has been heard with Kit Downes, Tommy Smith, amongst many others. Tim Giles is a BBC award-winning drummer. Vocalist Juliet Kelly tours rural venues during the month with her self explanatory Bond to Bowie show. The itinerary is expressly designed to call in at remote church and village halls, institutes and community centres. Frosterley Village Hall (Sep 23) is the one stop in County Durham, followed by two gigs in Northumberland at Middleton and Tonbridge Village Hall nr Morpeth (Sep 24) and Whittingham (Sep 25) in the Memorial Institute. During September the north east hosts musicians from all over the globe. At the end of the month (Sep 27), at the nearby Jazz Café, London-based Henrik Jensen will make a return visit to the Pink Lane venue. 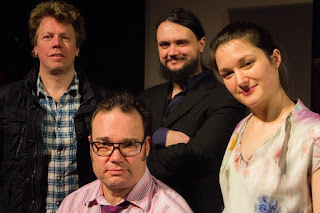 The Dane will be working with Esben Tjalve (piano), drummer Antonio Fusco, and trumpet and flugelhorn player Andre Canniere on a Jazz North East Schmazz promotion. The Hammond B3 and its variants conjure late night, ‘back-at-the-chicken-shack’ joints. Two masterful exponents of the instrument can be heard a matter of a few days apart at the Jazz Café and the adjoining Black Swan basement venue in Newcastle Arts Centre. Friday 16 Sept in the upstairs room at the Jazz Café promises to be one storming gig. Guitarist Nigel Price will be getting into the groove as Ross Stanley hits those bass pedals with the immaculate Steve Brown (drums) alongside. The Early Bird Band will open with a set of its own. A group of emerging young musicians tutored by Paul Edis, expect to hear jazz classics and one or two original pieces. One week later (Sep 22) Gerry Richardson’s Big Idea – an all star nine-piece outfit – plays the Black Swan. Two great gigs, why not go to both? Darlington’s Opus 4 Jazz Club meets in the upstairs room of the Traveller’s Rest on Sep 16. Promoter and patron alike can expect a visit from the boys in blue. No, the joint won’t be raided, rather, there will be a set from the Leeds-based Jazz Police. Chris Barber keeps on gigging – and why not? The Big Chris Barber Band will play the Gala Theatre, Durham Sep 29. You wouldn’t bet against a return visit next year, and the year after. Finally, a jam session. Jam sessions are what they are, they can, by their very nature, be hit and miss affairs. However, recent editions of the Jazz Café’s regular jam session are already the stuff of legend. The standard of musicianship has been exceptionally high and the atmosphere – the applause, cheers, whistles – something else. Tellingly perhaps, the participation of several younger musicians has made the night. Hugely talented, the Jazz Café’s jam session – first and third Tuesdays in the month – is fast becoming the gig you cannot miss! The album Head Hunters, recorded with the one and only Herbie Hancock, has remained a cornerstone for not just jazz fusion but jazz as a whole since its release in 1973. Put simply, their influence on the jazz world as we know it today cannot be underestimated - they are bonafide legends of the game and it's a privilege to welcome them to our stage. 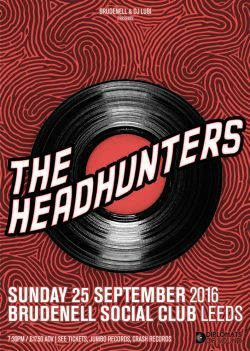 Located at the infectious crossroads of funk and jazz is the internationally acclaimed band The Headhunters. Forty years in the industry has melded their sound into an energetic ride through the roots of music in the beats of ancient percussion instruments to the electronic vibrations of the future. The band has influenced the sound of acid-jazz and such musicians as Grammy-Award winning artists, Esperanza Spalding and Troy “Trombone Shorty” Andrews. Their songs have been sampled by artists around the Globe including Usher, Prince, Nas, The Roots, Madonna, and many more. Under the direction of co-leaders Bill Summers (percussion/vocals) and Mike Clark (drums), the band toured and recorded for several years with legendary pianist Herbie Hancock. Their debut album titled Head Hunters (1973), is one of the best-selling jazz/fusion records of all time, the first jazz album to reach platinum status.In 2003, the album was ranked number 498 in Rolling Stone magazine’s book on the 500 greatest albums of all time. Fasten your seat belt for the ride that is...The Headhunters. After a short break to recharge our batteries Huddersfield Jazz is back with it's Autumn & Winter programme. 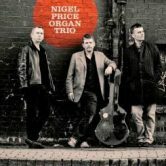 First of our artists to appear in The Jazz Room is the fabulous Nigel Price Organ Trio. 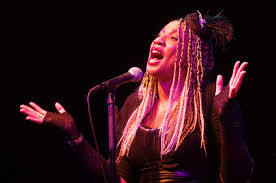 has performed with the BBC Big Band, Carleen Anderson and the legendary David Axelrod. His blend of flowing, fiery bebop lines, deep blues feeling and the will to swing hard has made him a big hit with jazz fans. Nigel will be joined by legendary drummer Steve Brown and the incredible organist Ross Stanley. including ten residencies at Ronnie Scott’s club in London and five extensive UK tours. The by-products of this amount of work are a cohesive chemistry rarely seen between three musicians, an enormous repertoire and the ability to put on a well-thought-out gig that entertains from start to finish. on the night as well as FREE car parking via the University campus. More music coming your way this September from Leeds's Seven Jazz club. Their first Village Jazz Festival was a success celebrating the diversity of the Leeds Jazz scene, and the trademark mixture of styles that has brought the Parliamentary Jazz award accolade to the club this year.